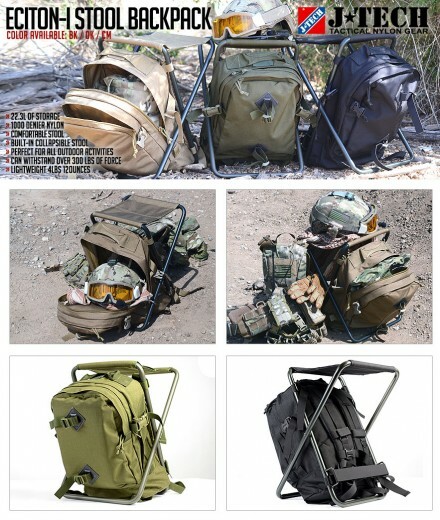 S.O.Tech has released a limited edition run of Tactical Totes / Reusable Shopping Bags. 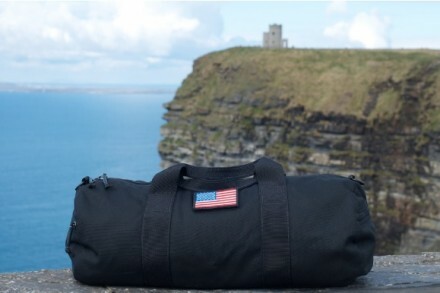 The bags are made in the USA by Veterans as part of a work therapy program through Vets Corps USA. 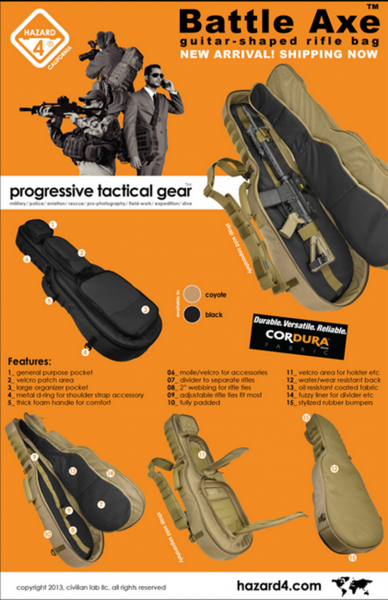 The bags come in two sizes, regular (RCS) and XL (RCS2), and are made of 500D Cordura and 1000D Cordura, respectively. 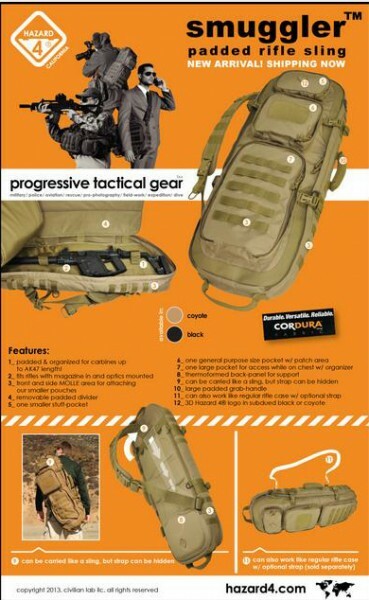 Additional features include reinforced handles, color-matched MilSpec webbing, and interior pockets. The Three Amigos would like to extend their sincerest thanks to Mystery Ranch for their brand new Booty Bags. The Booty Bag is a versatile bag designed for, well, carrying your booty. It features a foam back panel for comfort and suport, an interior zipper pocket for small items, and sliding straps for easy open/close. Available in Black, Coyote, Foliage, MultiCam, OD Green, Red, Teal, Woodland, and Yellow. Made in the USA. 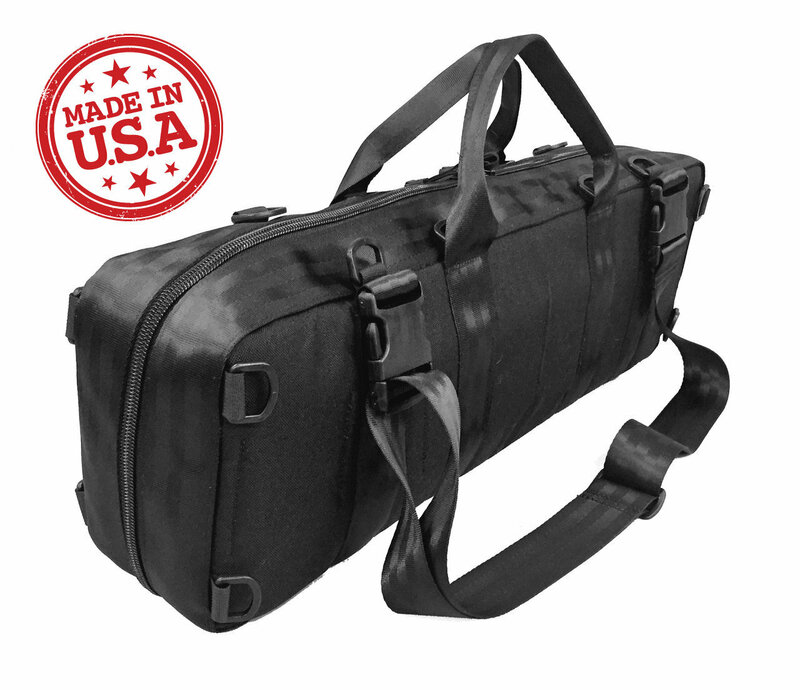 Botach Tactical’s Kley-Zion Discreet Compact Weapons Case is a weapon carrying case made from 1000D Cordura nylon. 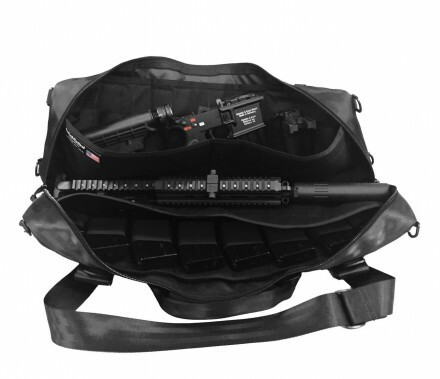 It is designed to carry up to a 16″ AR-15 in two pieces, a fully-assembled 10″ AR-15, an MP5 with A2 full stock, and other similar sized weapons. It can hold up to sixteen 30-round AR-15 magazines, or 32 MP5 magazines within the main compartment, which is divided into three separate padded sections. 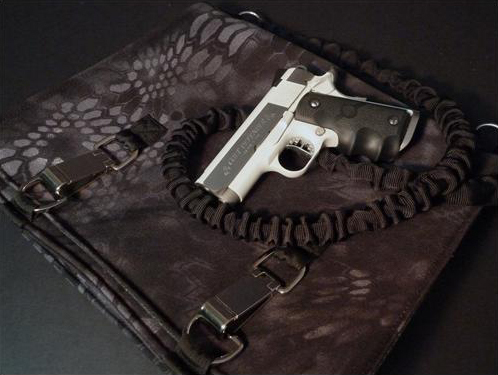 The Discreet Compact Weapons Case comes equipped with a MilSpec webbing carrying case, heavy duty zipper, and a system of 16 D-rings, allowing for additional customization. 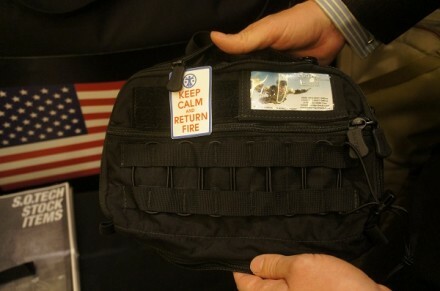 The exterior of the bag also features carry handles, and a large Velcro loop panel for ID or morale patches. 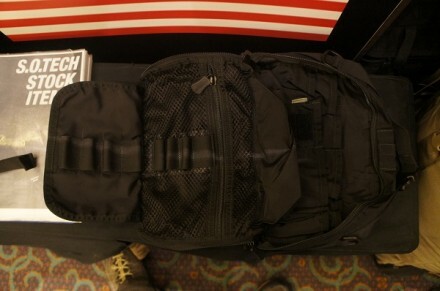 The Road Warrior Bag is a general purpose EDC and hygiene bag. Made from 500D Cordura nylon, the Road Warrior features 5 individual compartments designed to carry everything from general hygiene items to batteries and power components. The front features a Velcro loop panel for ID and morale patches, a transparent window for ID cards, business cards, or luggage cards, and PALS webbing for additional patches. The webbing features integrated shock cord for stowing additional soft items such as a towel. 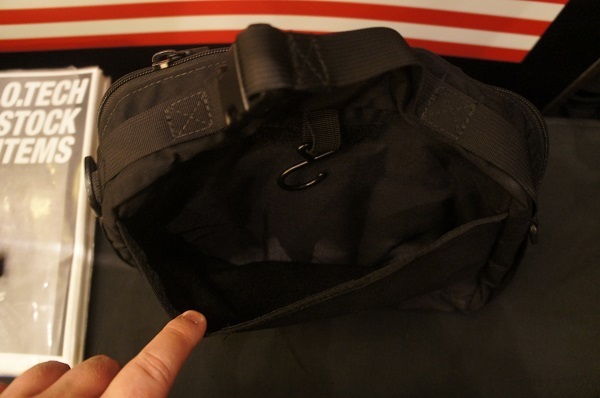 The main compartment has 10 internal organizing pockets, along with a zippered internal mesh pocket, and a fold out panel with elastic loops for additional items. 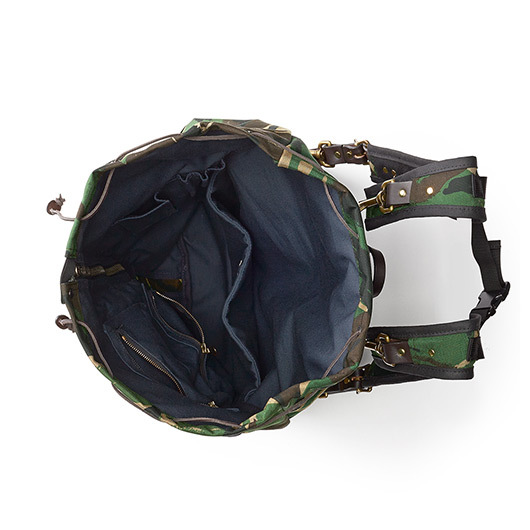 Filson’s Duffel Backpack is a water and abrasion resistant pack made from Cordura nylon. 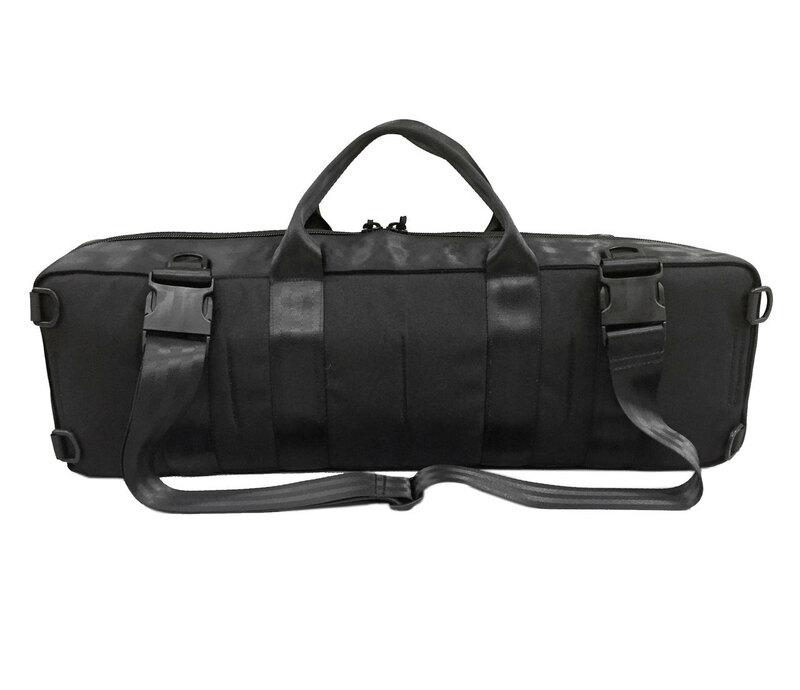 It features a duffel bag top which cinches with a leather strap and grommets; a center front zipper allows for easy access to contents. Four external pockets are capable of one-handed opening thanks to the inclusion of opening loops. 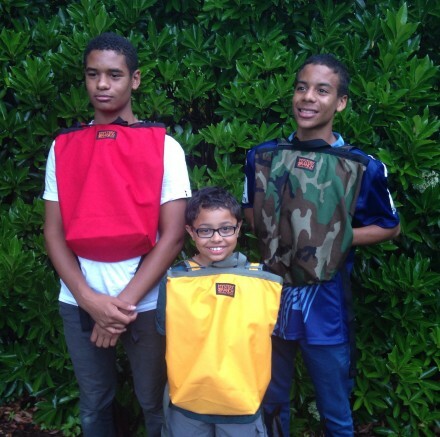 The shoulder straps are padded and feature a stabilizing sternum strap, and are removable from the bag. Made in the USA. Available in Black and Camo. GORUCK’s 20 L Gym Bag is made from 1000 D Cordura nylon. 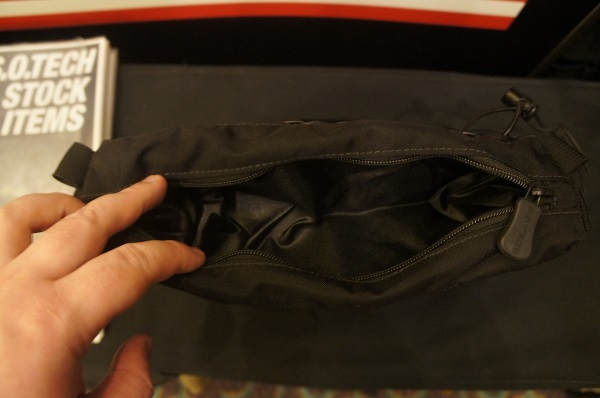 It features one main compartment, one small internal pocket, and two external zip pockets on each end. A 2″ x 3″ Velcro panel on front allows for customization with morale or ID patches. 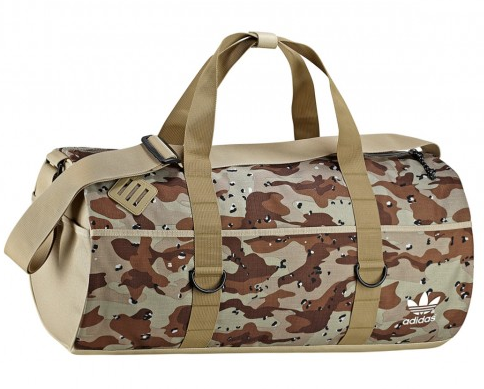 Comes in a selection of 8 individual solid colors and camouflages. Shoulder strap not included. A 38 L version is also available. Made in the USA. 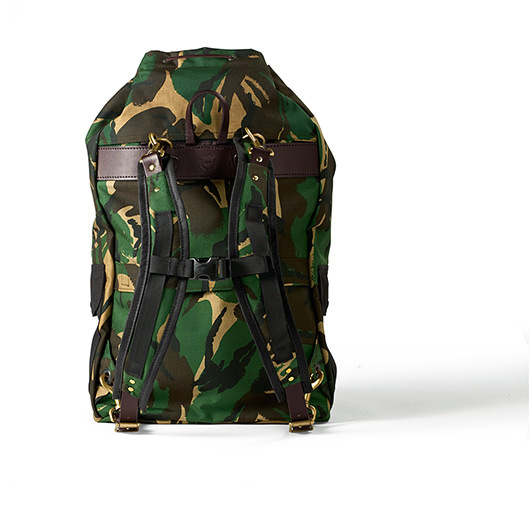 Chrome has released a limited edition run of three of their signature bags with a special reflective camouflage. 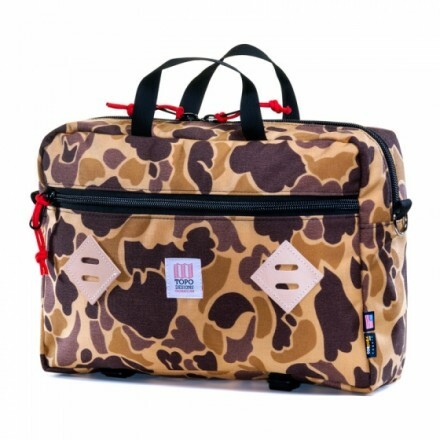 Specifically, the bags are printed with a French camo pattern, and the fourth color of each of the three variants is made from a glass-bead print that is reflective up to 100 feet. The three available pattern variants are Black, Desert, and Woodland. The bags are made in the USA. This particular bag is the Orlav. 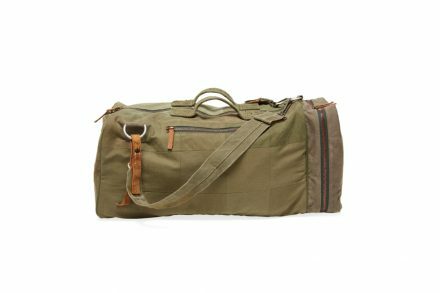 It’s constructed from weatherproof, 1000D Cordura nylon with a welded-weatherproof 1200D military-grade truck tarpaulin liner. Dual waterproof compartments separate wet and dry cargo, and external pockets feature stainless-steel hardware for quick, secure access to u-lock and work tools. The Orlav also features daisy-chain mounting loop for attaching carabineer clips or bike lights, and a zippered pocket designed to fit up to a Macbook Pro 15″ laptop. In addition to the Orlav, the Victor and Citizen bags got the reflective treatment. The ECITON-I is a backpack by J-tech that also features a built-in stool. The stool’s frame is capable of handling up to 300 lbs. 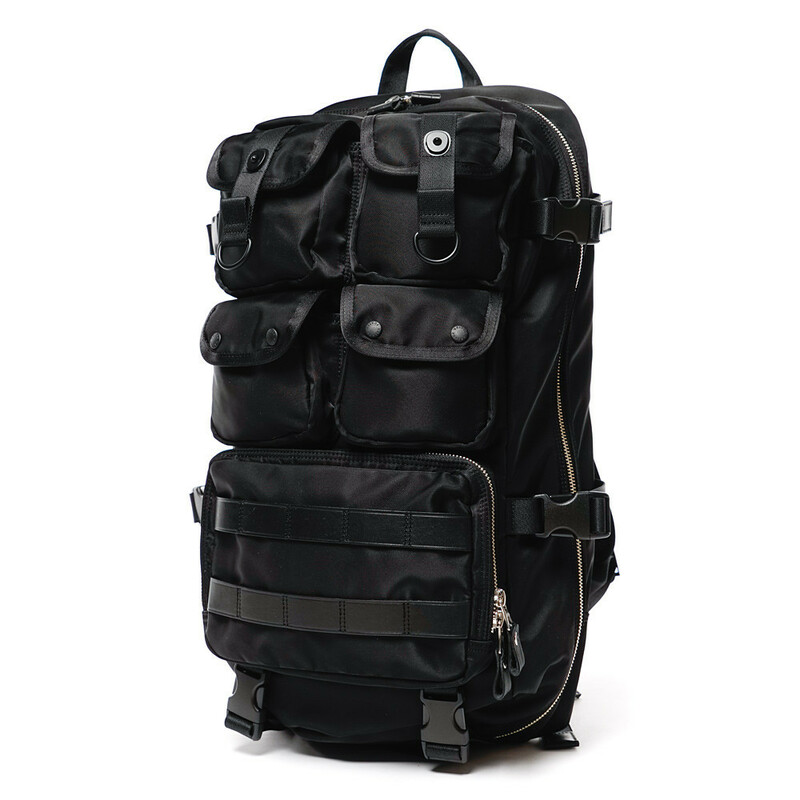 The pack itself is made from 1000 denier nylon, offers 22.3L of storage, and is hydration carrier compatible. 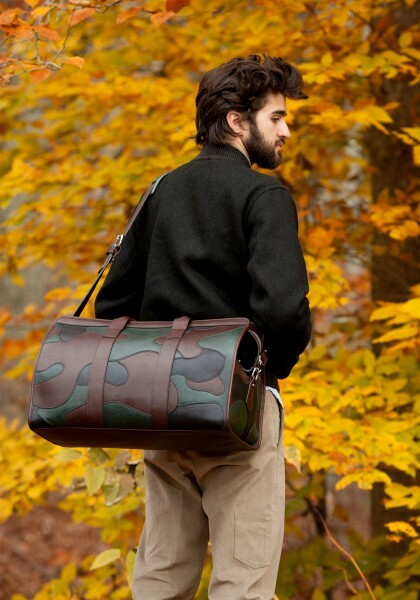 Available in Black, Olive Drab, and Coyote Tan. Seen here is a photo of Tiger Woods’ ex-wife, Elin Nordegren, taken in the Bahamas. What’s interesting in the photo, besides her, is the khaki Maxpedition Fatboy Versipack to the right. The Battle Axe was designed to look like a padded nylon guitar case externally, but hold carbines up to AK-47 length internally. 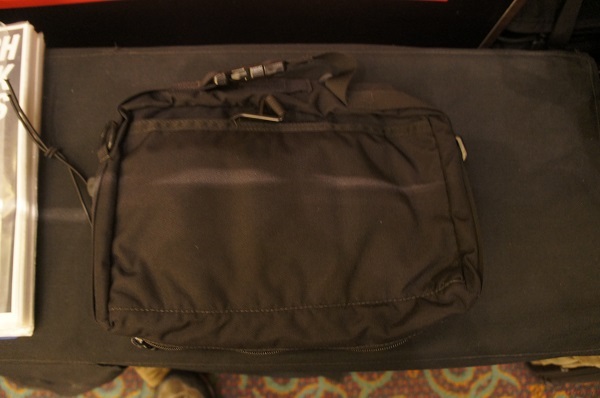 External pockets allow for magazines, parts, and other equipment. As a bonus, it can even hold most electric guitars, although the tie-downs are meant for a rifle. The Battle Axe comes in Black and Coyote, and the shoulder strap is sold separately. 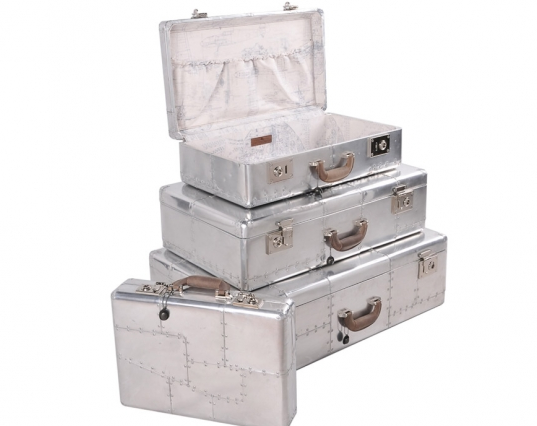 British furniture brand Timothy Oulton built these cases, which are reminiscent of WWII-era fighter planes. The insides feature a plane blueprint suedette. The mountain briefcase is a fabric bag designed to be carried one of three ways: traditional two handle briefcase style, as a backpack with stowable straps, or over the shoulder with a removable shoulder strap. The interior features a large main compartment, padded laptop sleeve with Velcro closure, pen slots, open top notebook pocket, and zippered storage pocket. The exterior features a zippered notebook pocket; the base has two cinch straps. 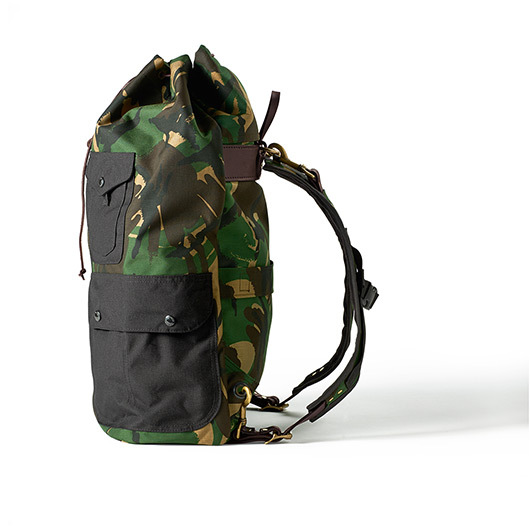 The exterior fabric is 1000D Cordura, and is available in three colors, black, duck camo (seen above), and olive. Made in Colorado, USA. The Coffin Case is billed as the “world [sic] first coffin or shield shaped rifle carry case.” It’s constructed from 1000D nylon and features an outer cross elastic cord for securing a helmet or vest. 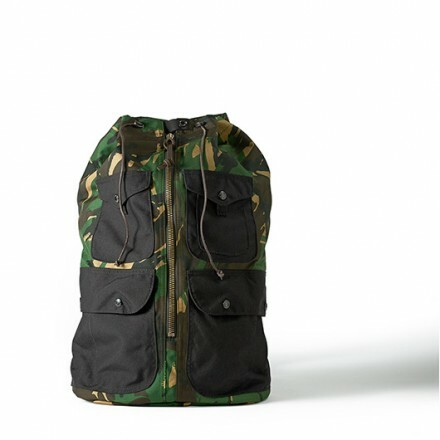 Additional features include two large, zippered inner accessory pockets, and front-side Velcro for an identity patch. 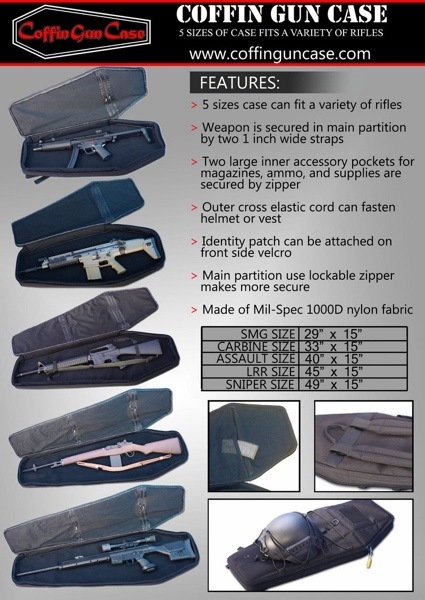 The Coffin Case comes in five sizes, to accommodate a variety of firearms from SMGs to sniper rifles. It’s made in Taiwan, and at the moment the only retail locations that carry this product are located in Taiwan and Japan. However, the website Alpha-Milsim offers worldwide shipping and carries the Coffin Case. Herschel Supply Co.’s Anchor Computer Sleeve is fully padded with a fleece-lined interior. It’s designed to fit 11″, 13″, and 15″ computers. The camo pattern seems to be based heavily on the DBDU or Chocolate-Chip camo pattern used during the Gulf War by the US military; Herschel even marks it as ‘Desert Storm’ on their product line. Herschel also offers a small line of luggage that uses the same pattern, including these parcel and claim bags. Tags: Bags, Herschel Supply Co.